Last December I read an article discussing whether or not coldness causes cold. I was surprised to know that westerners don’t think coldness can cause cold. I discussed this with my editor who is from Washington DC. She just got a serious cold at that time. Then we had this interesting conversation here. Frankly to say I was a little shocked about this different view on cold. In our culture I was taught from when I was a child that exposing in cold environment may cause cold. So we should be very careful when it becomes cold. We should avoid cold environment, or put on more clothes to prevent cold. In Chinese character “cold” is called “Gan Mao”, literally meaning “feel excessive(cold/heat)”. Excessive coldness may cause cold; excessive heat may cause cold, too, but this often happens in summer. I think ancient westerners also thought that coldness might cause cold. Otherwise why they call COLD? If you believe coldness causes cold you can prevent cold or cure cold at early stage by healthy lifestyle. Cold-caused cold usually happens in winter, or early spring. Put on more clothes when it becomes cold. Avoid eating raw/cold food, or drink cold/iced water/juice. Avoid cooling foods ( foods with cold property) such as green tea, kelp and other shell seafood. Last winter one of my friends got cold and he told me(with proud) that he was drinking green tea. But the cold got worse. Green tea has very powerful cold property. 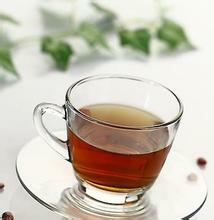 Even if you drink hot green tea, it’ll cool down your body after the heat of water disappears. I suggested my friend not to drink green tea but eat some chicken soup and warm foods. Two days later he felt much better. Cold/raw foods will worse the cold. From now on you should have this in your mind that coldness really causes cold, especially when your immunity is low.